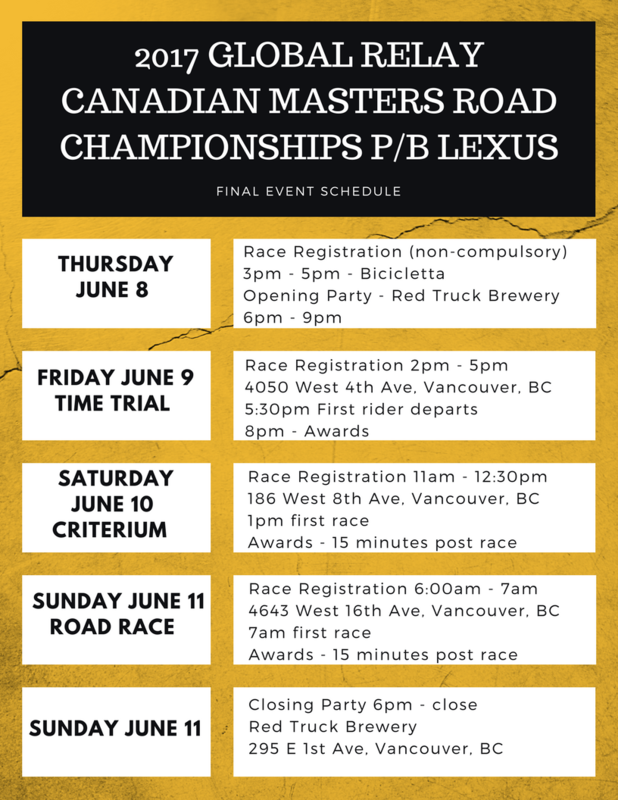 NTSQ Sports Group is proud to host the 2017 Global Relay Canadian Masters Road Championships p/b Lexus in our beautiful hometown of Vancouver, BC. Our goal is to provide a world-class level of racing for the country's best Masters cyclists. The local community is excited by the prospect of showcasing all that our city has to offer. We look forward to seeing you in June, 2017. A four day festival of cycling in the heart of Vancouver. Experience world class racing, interactive cycling expo, Red Truck Brewery Beer Garden & opening and closing parties. Frequently asked questions about registration, equipment, categories and more.